shaguna, Author at Ghumakkar - Inspiring travel experiences. Hong Kong Disneyland opens at 10:30am but reaching early is advisable. It will give you chance to enjoy rides without any/long queue. It saves a lot of time later in the day as you are already through few rides before crowd starts pouring in. 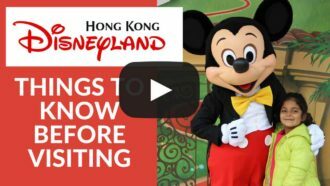 Use Hong Kong Disneyland App for choosing rides as soon as you enter. Selfie sticks & outside food or drinks are not allowed, so do not bring it with you. 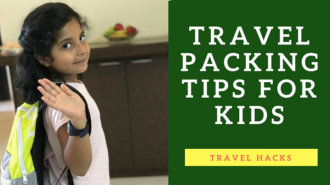 Travel packing tips – pack your kid’s bag this way! Kids should always carry a backpack for themselves. I’ve faced this problem with my mother and father. When we started traveling my mother and father used to keep my kit and my books in their bag, so I used to ask a lot of times then they used to get really irritated and I also. So from then I suggested that I will take my own bag on the trips so my mother father bought me a bag. 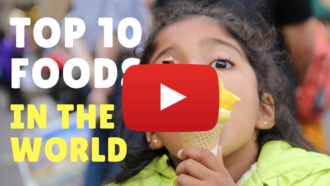 My Top 10 foods around the World! Pizza: In Italy they give you pizza, it’s really tasty pizza. They put any toppings. Pizza by slices are the best! Half of the topping i like and i want to eat those! Gelato: This is one of my favorites the Gelato!!! It’s from Italy It’s an ice cream. In my video of London (https://youtu.be/BYNJluJnDDI), I told you about Amorino Gelato. In Italy, I had another Gelato, it was too tasty. First Topkapi Palace was a palace, but now it’s a museum. If you go to the Topkapi Palace, you can know how they used to live? How their kitchen was? You can also see their arms, some jewellery what they used to wear. There’s also really good sea view from there. We had also gone to a garden in Topkapi Palace. We saw a really beautiful rose flower there. This video has been created by my daughter Vrinda (7 years), we call her Kuhu at home, and my niece Pihu (12 years). 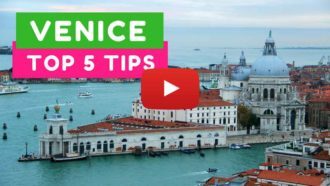 We love to go on road trips and many a times it gets difficult to keep kids entertained while one is on the run. 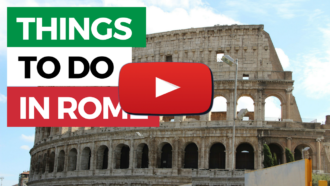 In this video, Pihu and Kuhu share some of the games that we love to play while travelling. Most kids love these games. These can be played with grownups as well. Each of these games is educational game in it’s own way. 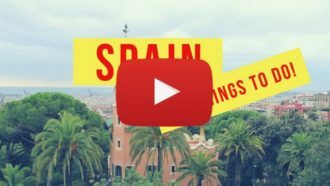 The first one is, always have Olives, Sangria and Tapas. Tapas is a type of starters in Spain. Sangria is a wine based drink with fruits. You can add fruits like apple and orange. My mother and father used to enjoy Sangria. In Spain, I had lots of fresh orange juice. 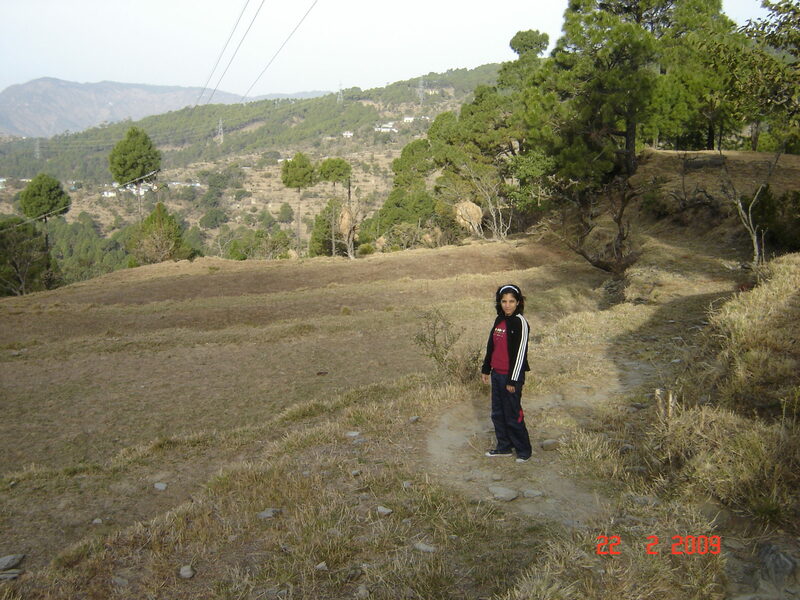 My daughter Vrinda is 7 years old. 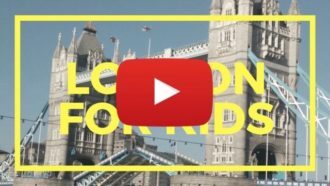 These are the activities and places that she enjoyed the most during her trip to London in May 2017. The plan for the next two days was to visit Pangong Lake. It is situated at a height of about 4250 m (13,900 ft) and is 134 km long. It extends from India to Tibet and two thirds of the length the lake falls in China. 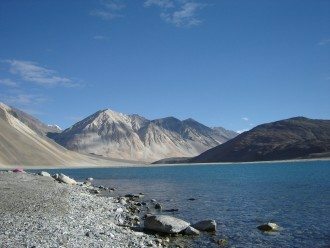 The distance from Leh to Pangong is nearly 160 kms, and it takes 6-7 hours to reach. The roads have been well kept, but do get messy in between due to mountain slides and constant water flowing from the hills. The drive is quite scenic and during the entire trip, not more than 50-60 cars passed us from the other side. A permit is needed for the journey and the same is verified at 7 check posts at various passes. Dorje had it all arranged, all we needed to do was relax in the car and enjoy the journey! We started at 9 am in the morning and crossed Shey,Thiksey village and left all signs of inhabitation behind us with the beautiful hills and the long road for a company. As we started climbing up the hill, the temperature began to fall. We did see few small villages en route. On getting out of the car at Changla Pass, the third highest pass in the world (5270 m./17,300 ft.), we could actually feel the chill in the air piercing through our skin and lack of oxygen made breathing feel like an exercise. This was the highest point of the trip to Pangong.